Lost in a Good Book: "If there was a bright centre to the universe, I was on the planet it was farthest from. Please pass the blue milk, Aunt Beru"
"If there was a bright centre to the universe, I was on the planet it was farthest from. Please pass the blue milk, Aunt Beru"
Oh Ernest Cline, you do write highly entertaining books. One of my favourite things about his novels is that not only do you have the delight of recognizing pop cultures references on every page, but they alway work within the story; they aren't just filler. 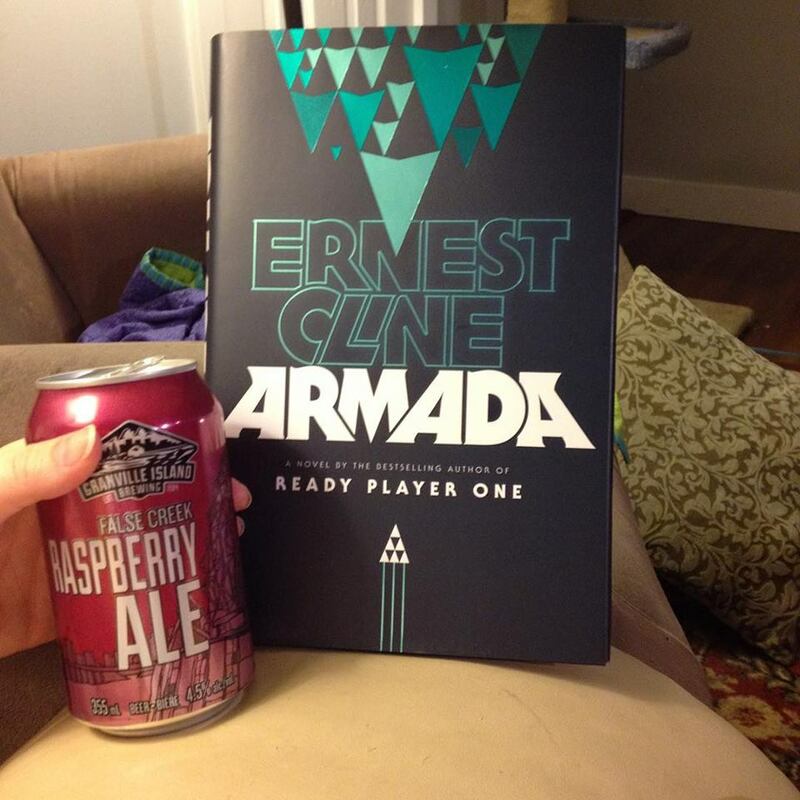 My other favourite thing about both Ready Player One and Armada is that they both have such heart to them. Ready Player One had one of the sweetest love stories I've read in years. Armada was all about family. I had some major tender moments reading some of the scenes that were devoted to family togetherness. So, Armada. When I first read the book flap, I immediately though, oh, this sounds a lot like Enders Game. And while, yes, there are shadows of that novel, there are homages to lots of amazing sci-fi books and movies which I really enjoyed. My only complaints were that while, yes, I realized early that there were going to be a lot of battle sequences, I did grow a little tired of reading them over and over again. I also was somewhat disappointed by the ending. I'm not sure what exactly I was expecting to happen but it all felt a bit...rushed perhaps? All in all, I had a good time reading this. It's the kind of book you wish you had a friend sitting next to you reading the same parts at the same time as you just so you could share a knowing look when you came to an awesome Star wars reference and have a moment.